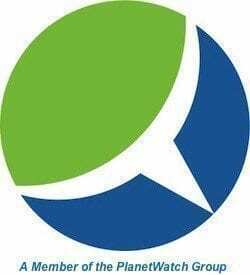 The 2012 Sustainable Transport Award was presented to the cities of San Francisco California and Medellin, Colombia on Tuesday at a ceremony in Washington DC. Sponsored by the Institute for Transportation and Development Policy based in New York City, the international honor is awarded based on five criteria, including improved mobility for citizens, transportation access for cyclists and pedestrians, improved safety, emissions reduction, and an enduring commitment to sustainable transportation. “This is work that were very proud of,” said Edward D. Reiskin, director of transportation for San Francisco’s Municipal Transportation Agency. San Francisco is the nation’s first city to implement a parking system that charges on a sliding scale based on demand for available parking spaces. Complementing the system is a smartphone application providing drivers real-time information on available parking spaces, a very useful technology, says Reiskin, in the city were 30 percent of traffic congestion comes from drivers searching for a place to park. San Franciscans can also use mobile technology to determine costs and travel time for varying modes of transportation like taxis, car and bicycle shares, public transit, and walking. “We are thinking about how to make mobility work in ways that are good for the environment, or good for public health, are good for quality-of-life and make our cities great places to be,” says Reiskin. For Medellin, Colombia, a fully integrated transit system that utilizes gondola lifts, buses, bicycles shares, carpooling, and Metro rail serve the city’s 3.5 million inhabitants. Last year, the city opened a massive outdoor escalator ascending 1260 feet shortening the half-hour walk from the city’s center to about 5 minutes. 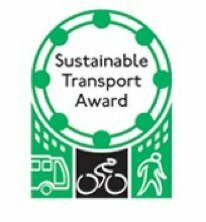 Among the other nominees for the Sustainable Transport Award were Buenos Aries and Cape Town, South Africa.